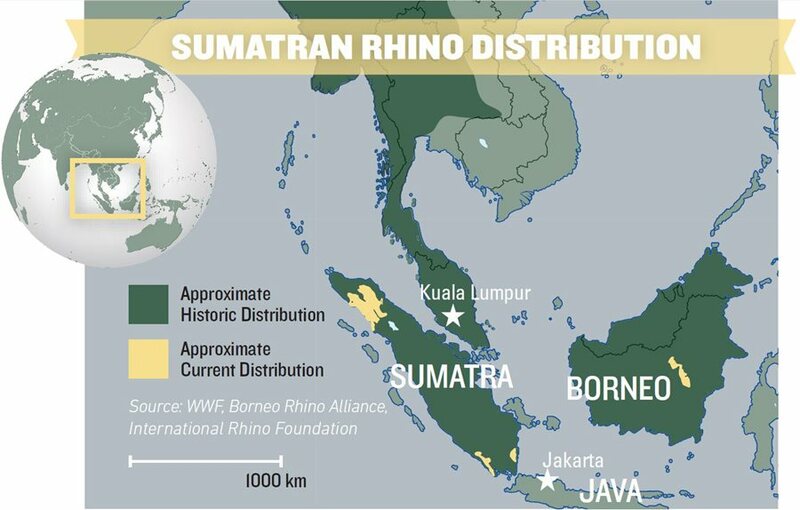 It is a job that requires sacrifice: Arsan spends more time with the srs’s seven rhinos than he does with his own wife and four children, who live 300 kilometers away in Bogor, a suburb of Jakarta, capital of Indonesia on the island of Java. He’s with them only about eight to 10 days a month. When he tells them goodbye, he sets out on a nine-hour trip that plods though Jakarta’s traffic, ferries across the Sunda Strait and then navigates potholed, sometimes-flooded roads through the rainforest. His older children, 12 and 10, text him to check in on the rhinos. His four-year-old twins, he says, “love the rhinos.” One day he hopes to bring them to meet the rhinos in person. For the rhinos, his job carries the highest of stakes. With these recent successes, conservationists say what needs to happen now is to bring more wild rhinos to the srs—or similar facilities—for captive breeding. Like many big mammals, Sumatran rhinos are slow breeders: Females can give birth at most every three to four years, and gestation lasts 15 to 16 months. (Then they spend a couple of years raising the calf.) Females mature sexually at six or seven; males at 10. With a life span estimated at 40 years, a healthy female could bear seven to eight young, at best. 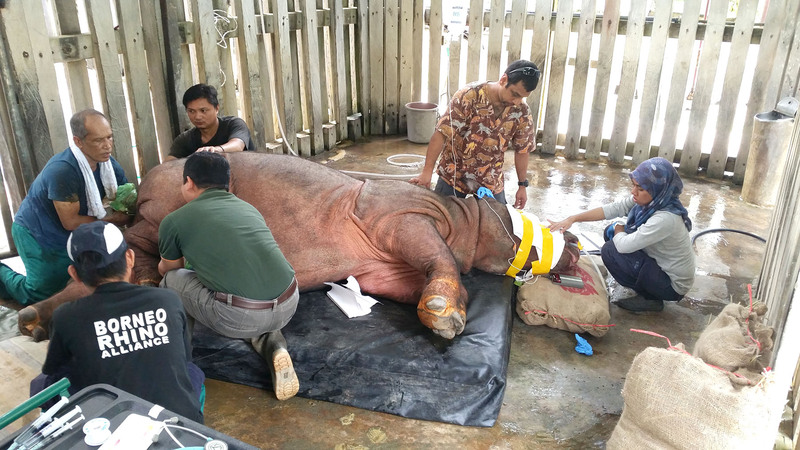 While Arsan works to help his charges create new life, across the Java Sea, in the Malaysian state of Sabah in northern Borneo, another vet is doing all he can to preserve a life. 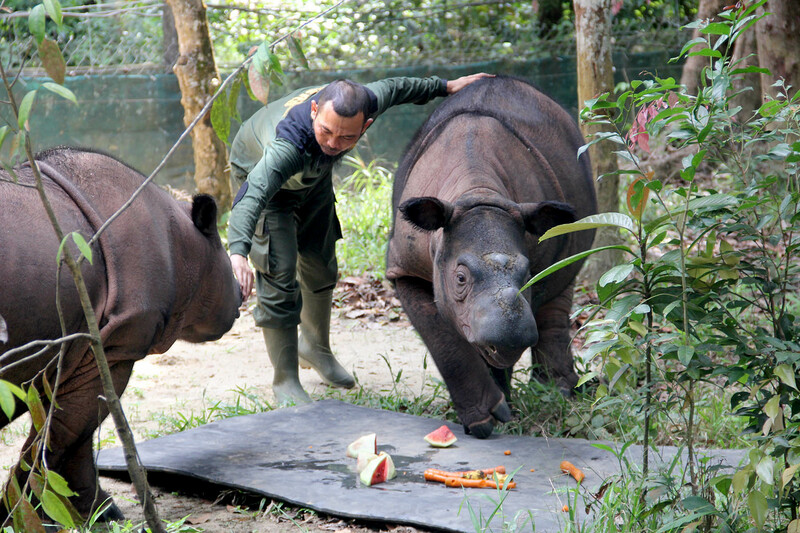 Iman was likely Malaysia’s last wild rhino. 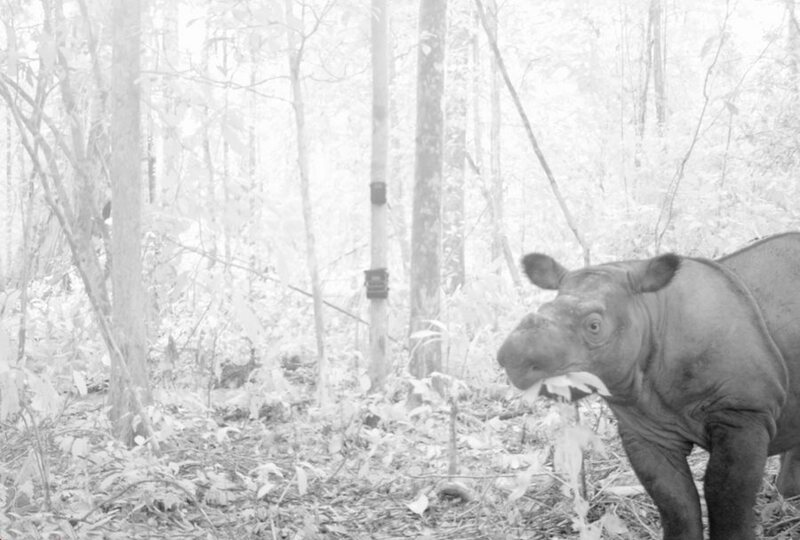 A year after her capture, officials declared the Sumatran rhino extinct in Sabah—their last place in the Southeast Asian country. 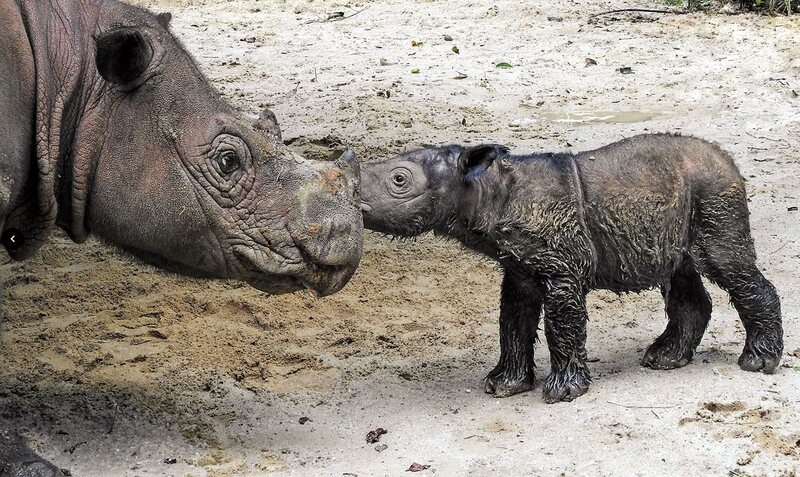 As recently as 2008, researchers had estimated there were 50 rhinos left in Sabah. Although in hindsight this had likely been a mistake, counting wild rhinos is imprecise: They are rare and difficult to see, and their tracks are nearly identical to those of tapirs. 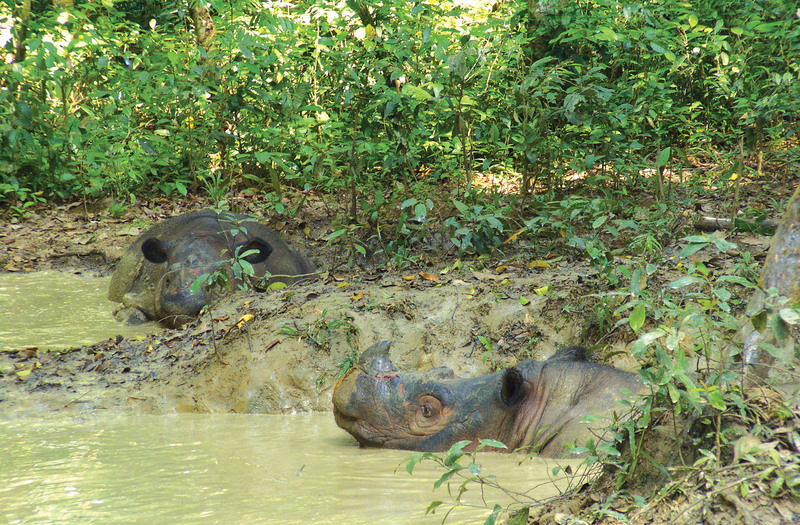 Even a rhino wallow can be difficult to identify conclusively. 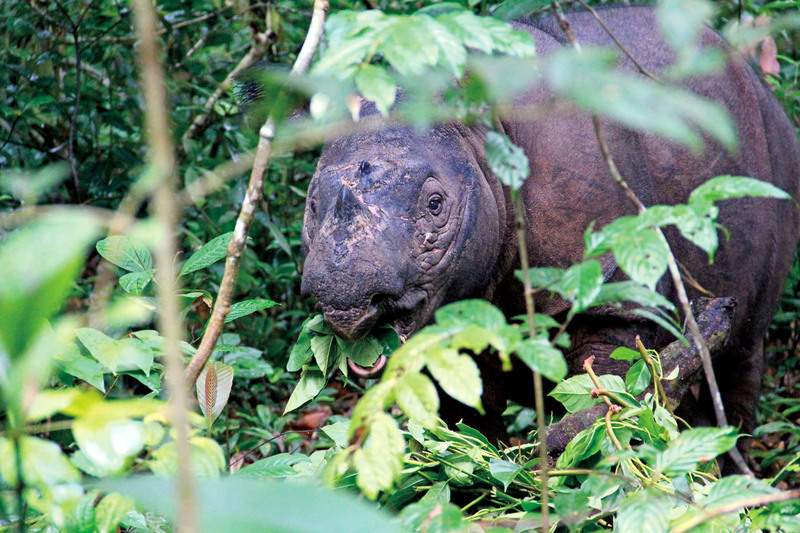 The Sumatran rhino is unlike any other. Although a full-grown one weighs in at nearly a metric ton, that’s only half the weight of male African white rhinos, which also stand half a meter taller at the shoulder. A Sumatran rhino also sports a shaggy coat of sometimes-reddish hair. While it has two horns—hence its genus name Dicerorhinus, Greek for “two-horned rhinoceros”—it’s not related to Africa’s two-horned rhinos nor to either of Asia’s, the Javan or Indian rhino. The cold prospect of extinction is not merely a biological loss, says Zainuddin. It is also an emotional one: Sumatran rhinos are sophisticated communicators, gentle and lovable in their relations with humans. Finally, on September 13, 2001, Andalas was born in the Cincinnati Zoo. 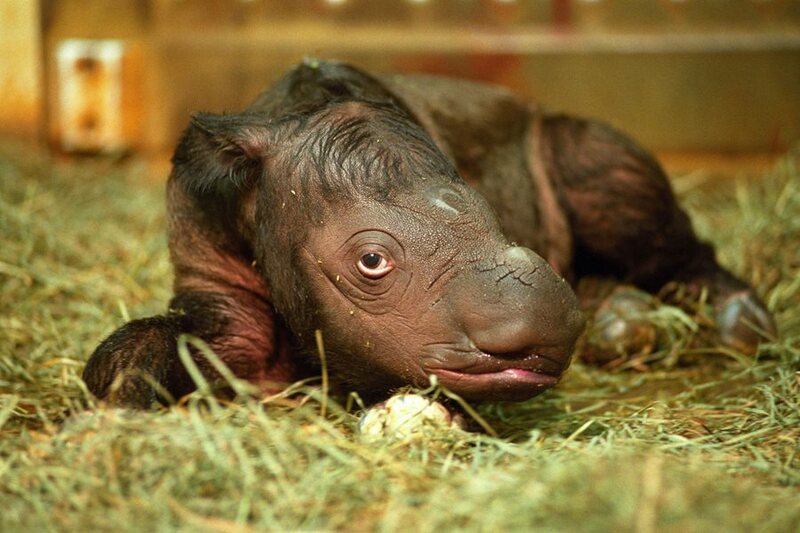 He was the first Sumatran rhino birthed in captivity since the 19th century. Arsan explains that Sumatran rhino females are “induced ovulators,” which means they require something outside themselves to kick off ovulation. Biologists still aren’t certain what the female needs, but they suspect that natural breeding behavior—chasing, fighting, ramming and wallowing with a male—activates the required hormones. This is difficult to impossible to trigger if no male is around, and doubly worrisome given the high risk among females—such as Iman—for uterine cancer if they do not breed. That makes the best chance for the bora program in vitro fertilization. bora has collected 10 eggs from Iman to date, and it hopes to secure Indonesian government approval to send them to srs to be implanted for gestation. “We shouldn’t give up,” Zainuddin says, noting he thinks extinction can be avoided if Indonesia “acts soon” to do more. Jeremy Hance (www.jeremyhance.com) is a US-based freelance reporter. He writes the “Radical Conservation” blog at The Guardian and is a regular contributor for Mongabay. He counts himself lucky to have met seven Sumatran rhinos. Follow him on Twitter @jeremy_hance.